Going to do something a bit different here. I'm going to repost in full a lengthy comment from a ZeroHedge article, for consideration by others. Looney is a long-time commenter on ZeroHedge. (I comment occasionally on ZH as well. I don't really know who Looney is, but he is certainly not a noob, and he is a prolific commenter. He has commented on Oil & Gas before.) I'm NOT going to vouch for Looney's comment, but the potential implications he raises in his comment are huge. There’s an interesting article on RT “Putin orders construction of world’s longest bridge”. 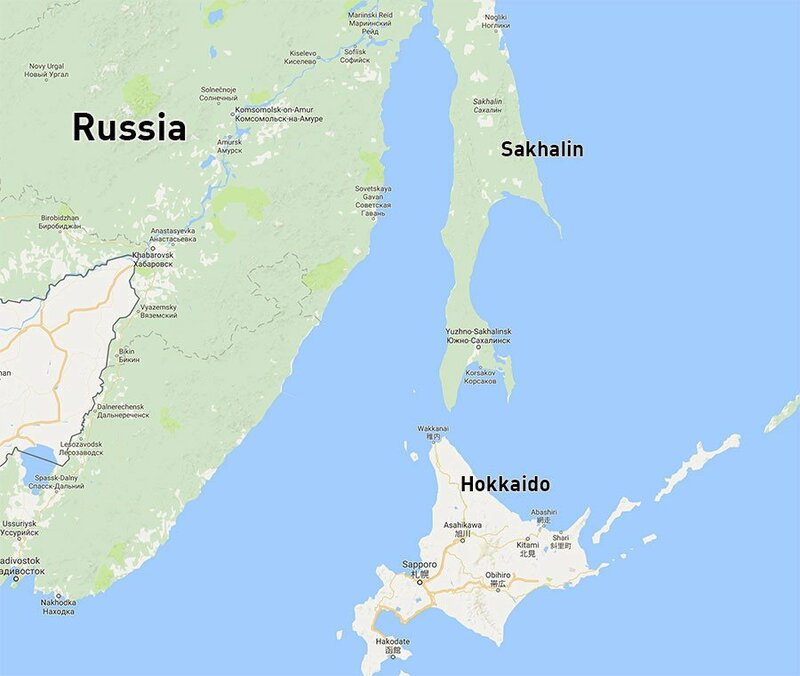 The article describes the need of the Sakhalin population to be connected to the mainland. However, the economic and geopolitical importance of the bridge is left out. 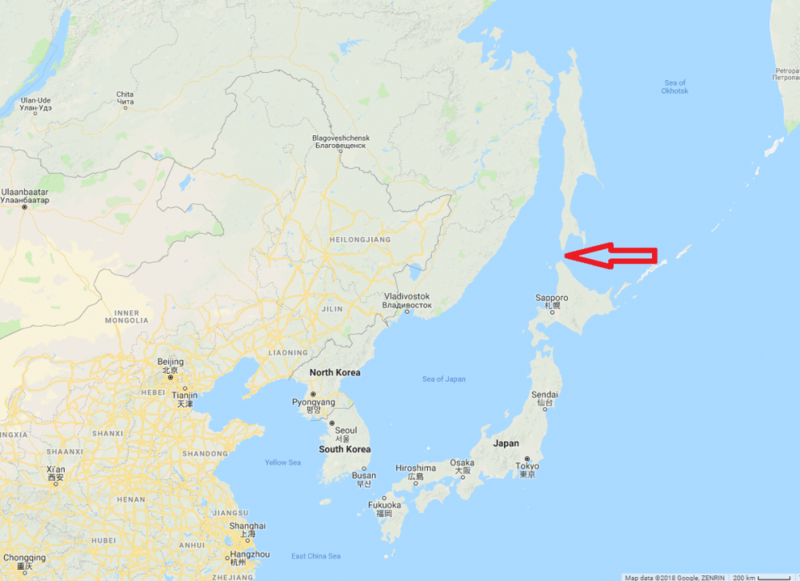 Sakhalin is separated from Hokkaido, Japan by the La Perouse Strait, which is only 27 miles wide. Japan has no natural gas and is forced to import 113 BCM of LNG, mostly from Qatar and Russia. With no pipelines coming in, the price of LNG in Japan is 1.8 -2.5 times higher than for the same LNG sold to Europe. A few years ago, Russia and China signed a 30-year gas deal for 68 BCM (billion cubic meters) per year – the Power of Siberia Pipeline (38 BCM) and the Altai Pipeline (30 BCM). The deal was worth $400 Billion to be settled in Yuan. Later, the Power of Siberia’s capacity was doubled to 61 BCM, bringing the total to 91 BCM worth $535 Billion. Both pipelines are being built right now and are expected to be operational by 2019. There was, and still is, a snag – China and Russia have not agreed on the PRICE of gas. This is where the new Sakhalin Bridge comes in. Just like the Crimean Bridge, it will be equipped with a gas pipeline connecting Russia’s mainland pipelines with the existing ones on the island. 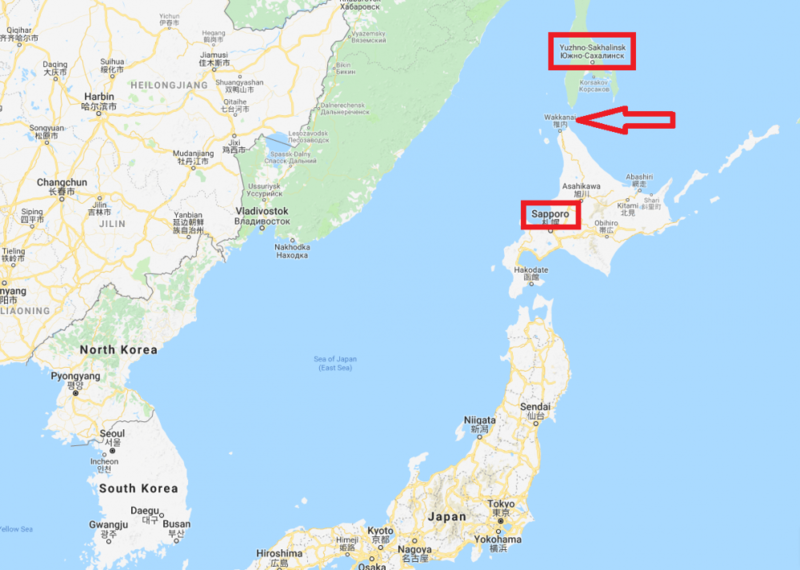 So, there will be only one thing between Japan and Russia’s coveted pipeline gas – a 27 mile stretch between Sakhalin and Hokkaido. If you wonder how quickly the Sakhalin-Hokkaido pipe can be built, consider this – the Turkish Stream under the Black Sea is being built at 3-4 miles per day. 1. Japan will gladly buy the much-cheaper pipeline gas, instead of Qatar’s LNG. 2. With Japan connected to the same pipelines as China, the latter will become much softer on the PRICE of gas. 3. If anyone attempts to screw with Russia’s Western pipelines (the Turkish Stream, Two Nord Streams, the Belorussian Pipelines), just like they did in Ukraine, Russia can simply cut them off and sell ALL of its gas to the second and third largest economies in the world. 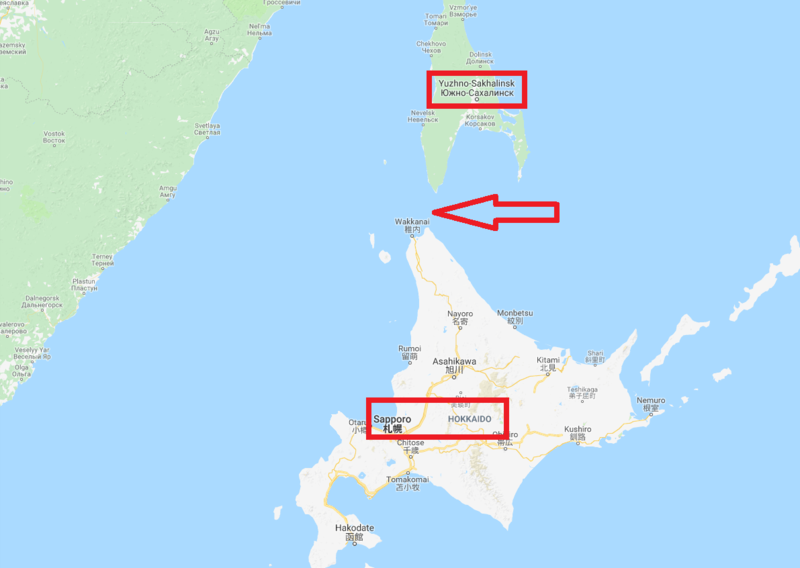 Here's a map from the RT article which shows just how close together Russia's Sakhalin and Japan's Hokkaido land masses are. I got curious about this, so did a bit of looking on Google maps, because I really am not that familiar with Japan's relative location to Russia. Yes, a gas pipeline linking Russia and Japan looks feasible. I added a red arrow to the Google maps below, to indicate the area proposed in Looney's comment.